Are you planning a trip to Spain? Why not discover Spanish wine country on your vacation adventure? Visit historic and famous Spanish bodegas while exploring Spain. Click on one of the wine regions pictured below and start planning your Spanish wine country getaway. When you visit Spain’s great cities of Barcelona, Madrid, San Sebastian, Santiago de Compostela, and others, visits to Bodegas (wineries) are within driving distances. At the very least be sure to visit at least one or two wineries on your Spain excursion. You will have a wonderful time discovering the great wines of Spain. 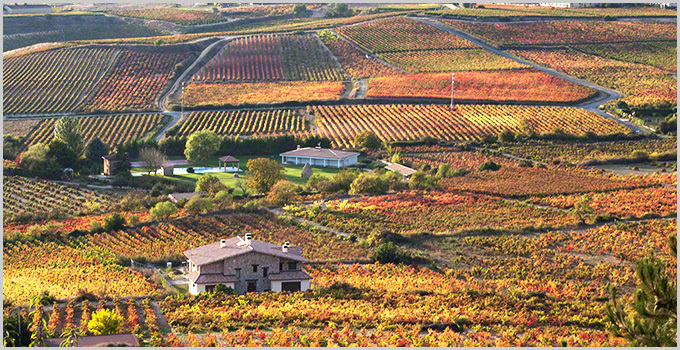 We have traveled the Spanish wine country extensively. We have spent time in each of the six wine regions we detail in SpanishWineCountry.com. There is still much for us to discover in Spanish wine country. Our goal in the coming years is to visit each and every Denominaciones de Origen in Spanish wine country. We will continue to add more wine regions to SpanishWineCountry.com.